Established in 2007 as one of the KwaZulu-Natal (KZN) provincial government's key strategic initiatives to accelerate Broad-Based Black Economic Empowerment (B-BBEE), job creation and economic growth in the Province, KZN Growth Fund (KGFT) was structured as a unique publicprivate partnership venture to finance medium to large private sector projects. This unique initiative focuses on catalytic investments and economic sectors as dictated by its mandate and investment policy. In the past seven years, KGFT has committed and disbursed almost R1 billion to ten projects in the healthcare, manufacturing, telecommunication and logistics sectors and has created over 14,000 job opportunities. The KGFT is further currently appraising various potential investment leads that has the potential to create a further 20,000 job opportunities. 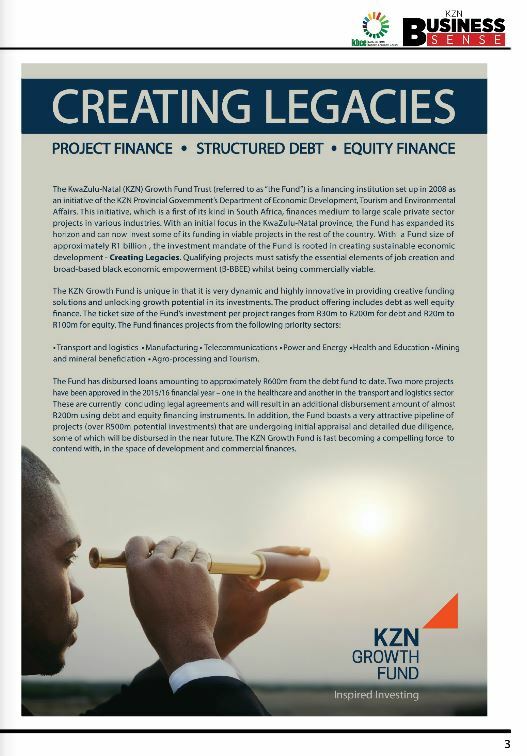 In line with its strategy to further grow its asset base and increase its positive impact on job creation and B-BBEE as well as reduce social and economic inequalities, KGFT is setting up a limited liability Equity Fund Partnership to manage third-party funds. This is the first provincial governmentled initiative, through one of its entities, to establish a fund of this nature that uniquely possesses a developmental impact. KGFT embarked on an extensive fund-raising exercise during the financial year, to raise an additional R700m that will see its equity fund capitalised to the tune of R1 billion (currently R300 million). 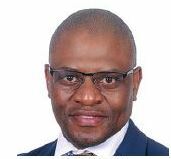 KGFT's Equity Fund has the potential to unlock more than R3 billion of investments with the commercial banks providing the required debt financing. The organisation is constantly striving to forge a better future in which businesses are more profitable, people are employed and the economy grows. KGFT has revised its investment policy to better align and deliver on the national imperative of radical economic transformation that seeks to fundamentally change the structure of the South African economy. Going forward, as an entity of government, we have placed reindustrialisation at the apex of our list of priorities to grow the economy and create employment. This, in our view, entails a robust shift to an economy that will benefit all including the marginalised groups of the society such as youth, women, and people with disabilities. The key features of the KGFT's current portfolio of projects evidences the Fund's commitment to addressing the challenges of industrialisation, increasing local content, value addition or beneficiation, infrastructure development, skills development and entrepreneurship development. Currently, the organisation boasts a very attractive pipeline of projects throughout the Province that are undergoing initial appraisal and detailed due diligence, some of which will be disbursed soon. The recipients of the KGFT's lending and investing practices benefit two-fold. Firstly, through the sharing of the risk of starting a new business with the KGFT and secondly, they in turn have created a more sustainable socio-economic environment in which to operate in. This is done by the inclusion of designated groups, job creation and stimulating economic activity. The KGFT can proudly state its involvement in truly national companies contributed significantly to the GDP of South Africa when those entities were just starting out in need of funding. The KGFT has played a pivotal role in the participation of the national initiative of the promotion of black industrialists led by the Department of Trade and Industry (dti). The dti has formulated a national policy in respect of the Black Industrialist Scheme (BIS). The policy and framework was approved by the KwaZulu-Natal Department of Economic Development, Tourism and Environmental Affairs (EDTEA) in consultation with the dti, which led to the signing of a memorandum of understanding between EDTEA and the dti. 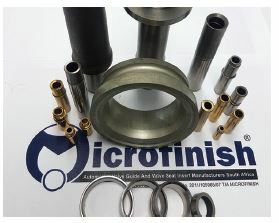 KGFT is a key stakeholder in the implementation of BIS as was evidenced by the dti's recognition of a KGFT funded project, Microfinish, during the recent launch at the programme in National Parliament. The KGFT fully supports the initiative, whose principles are deeply aligned with the mandate of the KGFT. The KGFT's successful engagement with the dti has resulted in three of its projects receiving approval, resulting in approximate R65 million of assistance from dti to these entities. Further applications of other projects are currently being appraised by the dti. The KGFT is proud to boast that it is not only a self-sustaining entity (no operating grants received from Government) but also has been able to maintain a high level of governance and control as evidenced by its 'Clean Audit' status for the past five consecutive years. 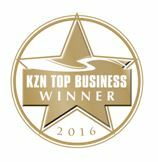 The KGFT is also very proud of its achievement in winning the Top Government Entity award category in the 2016 KZN Top Business Awards. Qualifying projects must satisfy the essential elements of job creation and B-BBEE whilst being commercially viable. The product offering includes debt as well as equity finance. The ticket size of the KGFT's investment per project ranges from R30 million to R200 million for debt and R20 million to R100 million for equity. KGFT believes that it takes bold people, bold action and bold investment to transform the future − a future the organisation is inspired to invest in, whole-heartedly. KGFT continues to be flexible in structuring deals that meets the specific requirements of its clients. With an efficient turn-around time and close working relationships with its clients, KGFT remains ahead of its competitors in a forever changing development and commercial financing landscape. KGFT funded projects has created more than of 14 000 job opportunities, and is currently appraising projects that will be able to create a further 20 000 job opportunities. With such a significant social and economic impact, over such a short period, it is understandable why KGFT is fast becoming a compelling force to contend with in the space of development and commercial financing. To be KZN's leading Development Financier and Impact Investor. To provide competitive and innovative financing solutions to private sector investments that propel socio-economic growth for a better future.